In a large stock pot, over medium-high heat, add the bacon and cook until crisp. Remove to a paper towel lined plate. Drain some of the fat if desired and reserve for another use. Add the onion to the pot and cook until it starts to brown, about 8 minutes. Add the collard greens, broth, and vinegar and stir to scrape up any bits on the bottom of the pan. 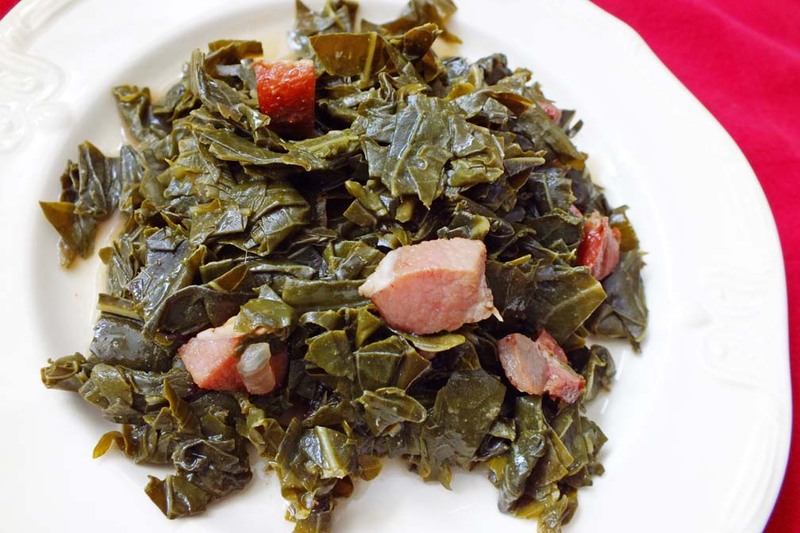 Cover and cook for about 30 minutes, stirring occasionally, until collards are tender. Add the hot sauce, salt and bacon and cook another minute. Taste and adjust seasoning.